If America is about second chances, perhaps this tangerine-hued 1979 International Scout should’ve been coated in stars and stripes. On second thought, na, it looks perfect as is. 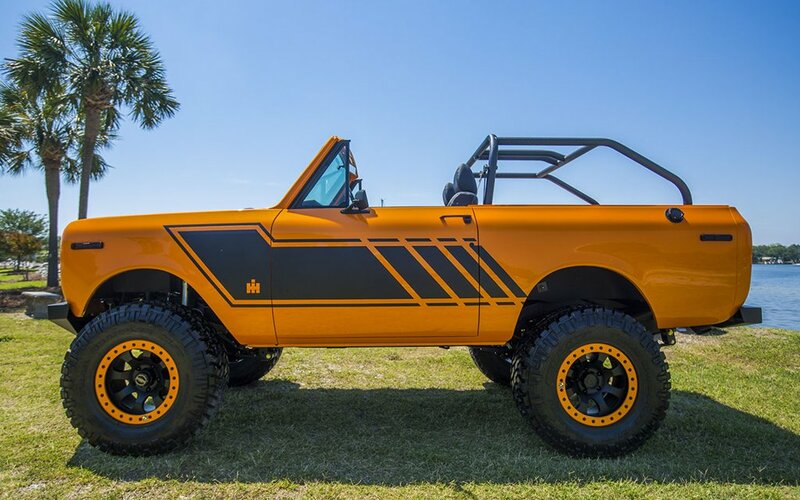 The SSII was discontinued almost four decades ago, after competing with the 1970s Jeep CJ for ‘70s off-road supremacy. The CJ gave way to its cool nephew, the Wrangler, and the SSII mostly lives on in our memory, not the least for those heavy front grilles and boxy headlights. 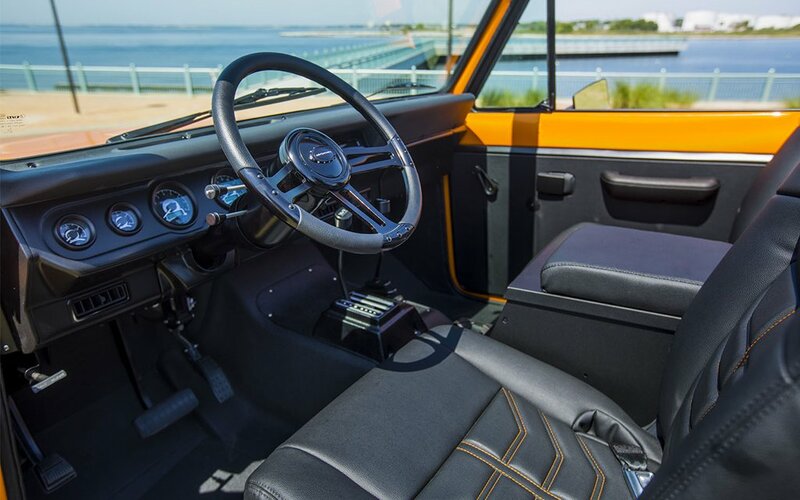 But now bringing back the legacy, with a better-than-ever version of the International Scout? Florida-based Velocity Restorations. The 4X4-restomod gods found an old Scout rotting in a Texas oil field, and have devoted 1,500 hours of meticulous work to revivifying the auto. The new Scout is backed by a 6.2L LS3 engine that delivers 420 horsepower, along with a spankin’ new powertrain, tires that have only ever eaten Wheaties (built from Nitto Trail Grapplers and TR Beadlock wheels) and a series of custom Velocity mods, from a Bluetooth-equipped custom dash to the stainless steel fuel tank to that “Yes, it’s orange, deal with it” exterior finish. 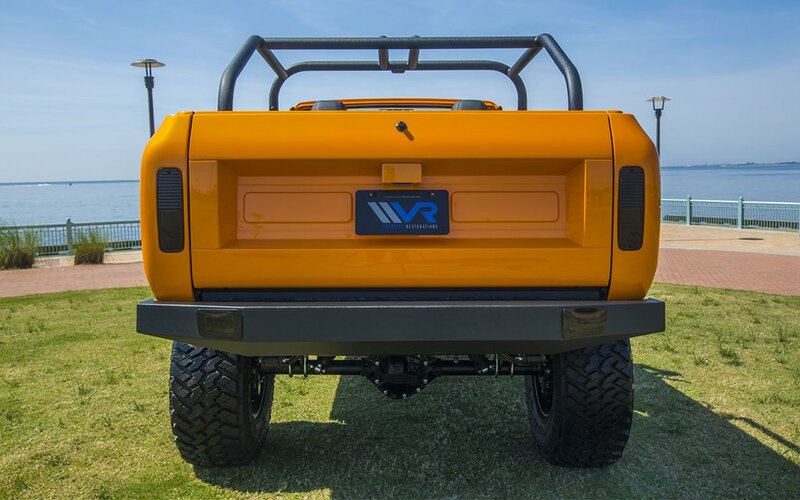 Find more info here on the auto, listed a shade under $230K, or head here to peruse Velocity’s healthy stable of Broncos, Jeeps and other vintage offerings (we love this baby blue ’74 Bronco, for what it’s worth).